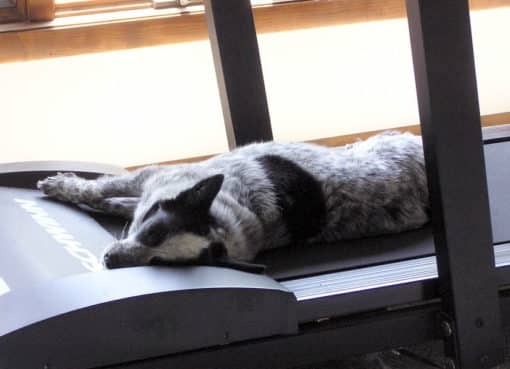 As a pet owner, there’s nothing I won’t do for my dogs – special treats, long walks, lots of lovins, you name it – but that doesn’t mean there aren’t any downsides to having furry family members in your home. 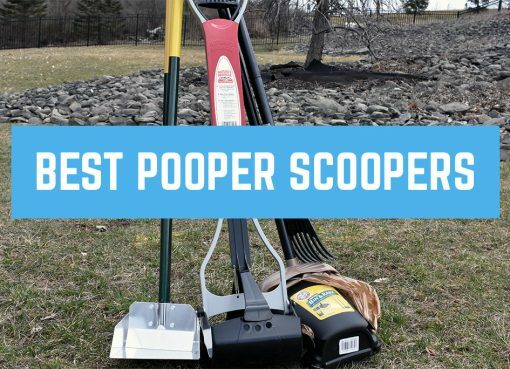 Cats and dogs can make a mess and frankly stink up your home! What’s worse is you can even become “nose blind” to the pet odor, meaning you don’t even notice it but your guests do. So what’s a pet owner to do? 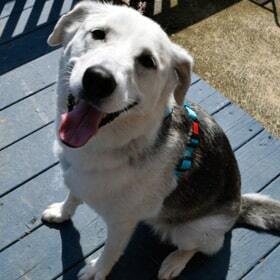 You can only clean so much and a lot of the odor is a completely natural part of having a pet in your home. I’ve tried out many different products and have found that it’s totally possible to overcome pet odors by using pet odor candles and sprays. Let’s break down a list of possible odor sources in your home and get in to what would be best to solve your stinky situation. Candles and sprays can do wonders for the pet odors in your home, but if your pet regularly soils around the house, you’ll be fighting a losing battle every time. Check out my article on the best pet urine cleaning products if you need help permanently removing those stains. If pet waste isn’t fully addressed and taken care of, then bacteria will grow and make your problem much worse over time. It’s also common sense but worth pointing out, the more frequently you change your cats litter box, the less time that bacteria and stench has to grow and fester inside your home. Next up, let’s talk about candles. You might be thinking, “a candle is a candle”, but that’s actually not the case. Candles come in two main varieties – paraffin candles (the traditional kind you see most everywhere) and soy candles. Soy candles have been gaining in popularity recently because they have several distinct advantages over paraffin candles. First, soy candles are a natural product made from vegetable oil and don’t raise the CO2 level in the atmosphere when burned, whereas paraffin candles (made from petroleum oil) do! Soy candles are also completely non-toxic and don’t give off any nasty chemicals when burned. Now you’re thinking, there has to be a catch – do these soy candles not last as long? Well, they actually last longer than paraffin candles! Soy candles typically burn twice as slow, giving you twice the hours of use in your home. Soy candles typically do cost more up front, but are always a better bang for your buck. At the main entryway to your home to make a good impression. Near a litter box or anywhere your pets primarily hang out. 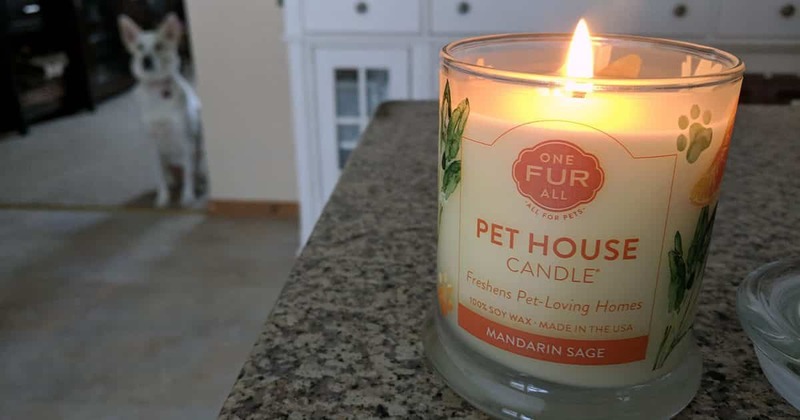 The One Fur All Pet House candle line is exactly what pet owners need in their house – excellent smelling soy candles! Available in 15 awesome scents like Lavender Green Tea, Fresh Citrus, and Sugar Cookies, there’s something for everyone here. 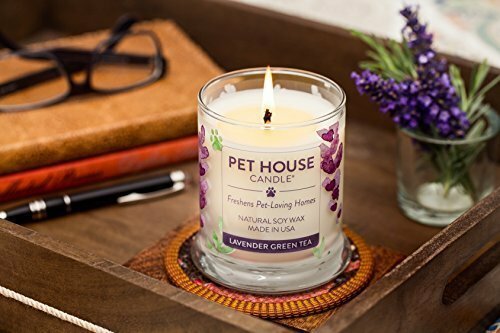 These candles have a very long 60-70 hour burn time and the wax is specially formulated to help neutralize pet odors that linger in your home. When it comes to sprays, I prefer this Febreeze fabric spray because not only does it eliminate odors in the air, it can also eliminate them from fabrics. 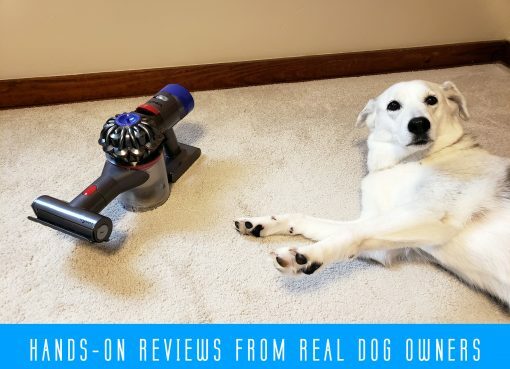 While this spray doesn’t smell anywhere near as good as a soy candle, it is very useful for carpets, furniture, coats, and rugs where pet odor can stick to. I prefer to give fabrics in my home a good spray with the Febreeze and then light a candle to get the best of both worlds. Do you have odor products that have been awesome in your house, or maybe you have a home remedy you make yourself? Be sure to leave a comment below and share with us! I personally don’t like the smell of Febreze, especially mixed with the smells that sometimes arise in my house. I found NOse Offense For PETS which has no smell at all and removes all odors. Perfect combination when my friends visit!